Every cat owner would have encountered a flea problem once or twice. Unfortunately, the pesky problem just seems to come with the territory! And man are those infestations difficult to get rid of. Obviously, no pet owner wants to have their pet infested with fleas and ticks which is why it is always better to start with prevention. In this post, I’m sharing how a flea collar can benefit your feline in this case. 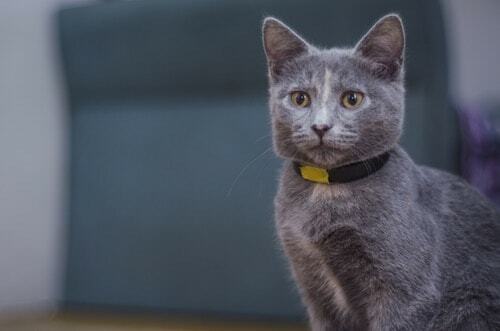 One of the ways that you can prevent fleas is to make your feline wear a flea collar. There are many different types available out there. How they work is they release a gas that is toxic to the pests, some also release a substance that dissolves into the animal’s skin which then causes the ticks or fleas to die. Their are three main types to choose from high frequency, gas based and absorption ones. For gas based types, it releases a toxin that can kill fleas upon contact. However, this only works when the fleas come near the collar so there might still be problems for other areas of your pet’s body. The high frequency one is an electronic type which emits ultrasonic sound waves to ward them off. There are pet owners who are concerned about the safety of absorption based ones for their pets. It is because this type also releases an insecticide for fleas just like the a gas based one. However, the big difference is that, this gets absorbed by the skin of the animal. It works once the fleas bite the skin of your pet which has absorbed the insecticide. There are both pros and cons to using this type of treatment. One main advantage is that these types are easy to use and to operate. You just put them on the neck of your feline, then make sure it is snug and secure and voila, you are done. Another advantage is that these are products that will not produce any mess. Unlike when you apply products that you are not familiar with. With certain types, you can be sure that there are no toxic chemical deposits on your feline’s fur that can be harmful to both you and your pet in the long run. Just remember that if you do end up having any concerns after using one on your pet, then the best thing to do is to always contact your local vet straight away. Felines are playful animals and some love to play outdoors such as on trees and rooftops. When you are looking to buy a flea collar, make sure to consider if it is elasticated or something that has a breakaway capacity. If your feline’s collar ever gets stuck on a tree branch, a pole, or any protruding object, an elasticated one will reduce the risks of choking. Further, one that can break in these conditions will let your pet immediately escape sticky situations. 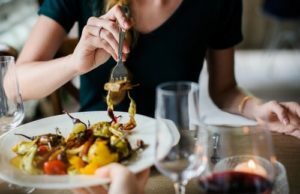 Another thing to look for in these products is whether it produces toxic chemicals that can affect your pet’s health. Be sure to research and identify the kind of chemicals that are harmful to felines and make sure that these are not present in the product that you buy. Look for one that you can adjust so that it is not too tight nor too loose around your pet’s neck. If one is too tight, chances are it will irritate and make your pet uncomfortable. If a one is too loose, it can fall of your cat’s neck while it is playing, jumping, etc. The Pet Gallo claims that it can protect your feline against fleas for up to six months. Aside from that, it can also prevent infestation and development of eggs. It has an adjustable design that goes snug over their head but a bit loose around the neck to reduce chances of getting caught in it. -Has 15% Tatrachlorvinphos which is a powerful but safe ingredient. 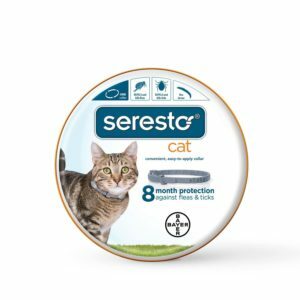 The Bayer Seresto can kill fleas and ticks for up to 8 months with its technology that releases the active ingredients slowly with those 8 months. If swimming occurs frequently, product performance is reduced to 5 months. – Can be used for to 8 months. The Seresto is another product by Bayer. 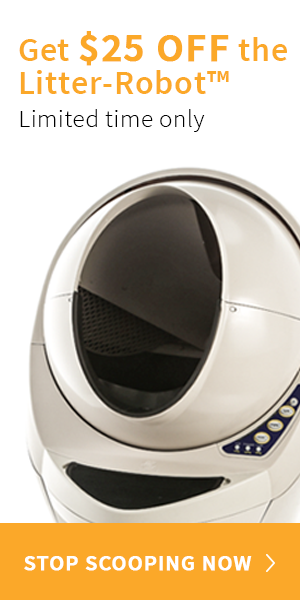 Providing up to 8 months protection, this vet recommended brand is effective and does not have any odor. It also doesn’t feel greasy which is a bonus. 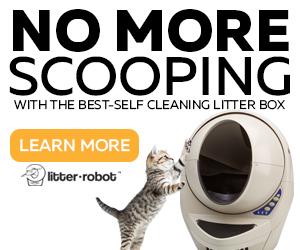 It also works quickly within 24 hours, killing reinfesting fleas within 2 hours. It is a topical treatment that is used once a month for felines. 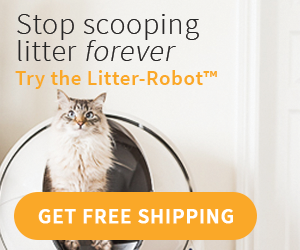 The recommended use is for kittens who are already 8 weeks old and weigh more than 5 lbs. 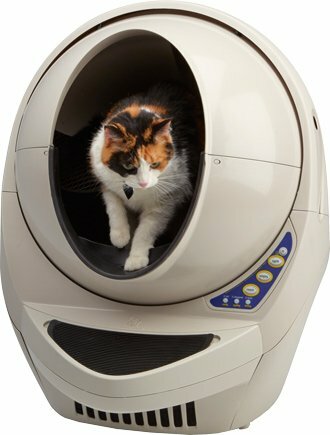 The Advantage II is made for felines who weigh over 9 pounds and more than 8 weeks old. It contains 6 vials inside the box and each application can protect your cat from fleas for a whole month. -Works within 12 hours after it is applied. Which ever one you choose to buy for your cat, make sure that they are comfortable wearing it. If your cat is feeling irritated because of the collar, take it off immediately. Ask your vet for possible recommendations in treating flea and tick infestations. My Cat Ate A Chicken Bone! What Now? Vet, Cat Owner, Cat Lover. 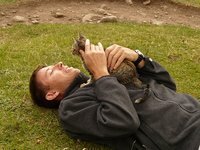 My passion is in educating cat owners about cat behaviors and how they can better care for their feline. 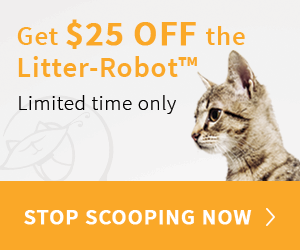 LITTER ROBOT Click to get $25 OFF!